31 cm p. : chiefly col. ill. Reprint. Originally published: U.S.: HarperCollins, 1997; London: Hamish Hamilton, 1998. An interactive introduction to basic body parts and movements. 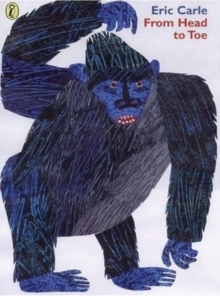 Gorillas, elephants, camels and other animals invite young readers to clap, stomp, wriggle and bend like they do!